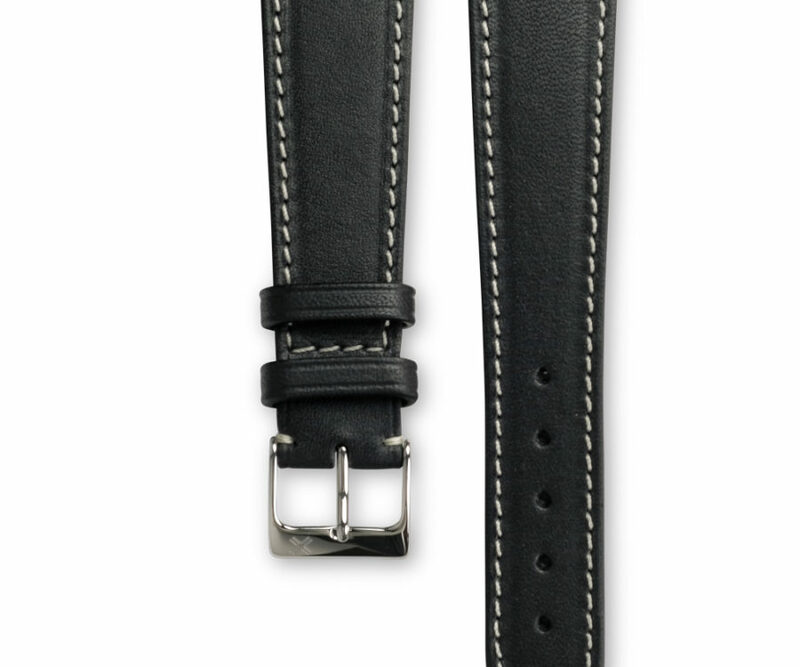 Casual virile look with a sporty touch. 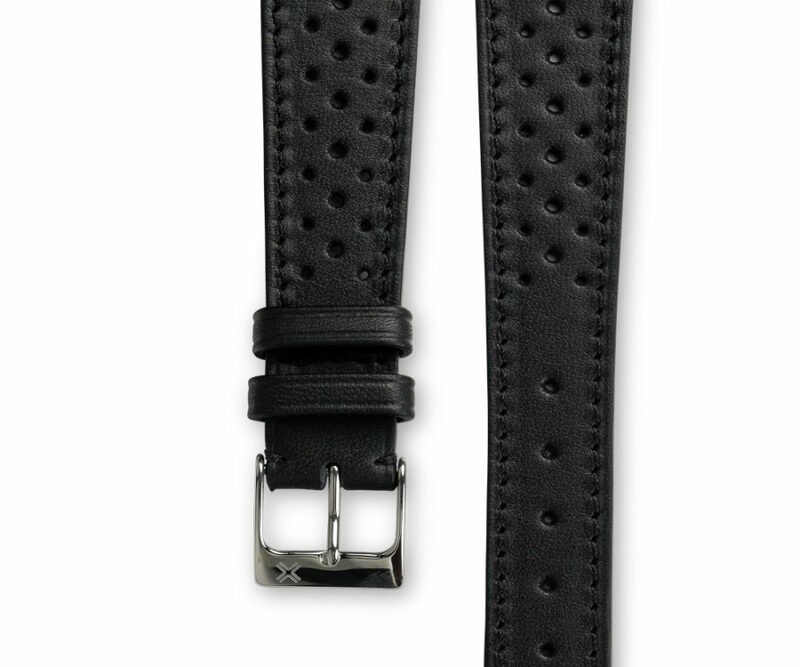 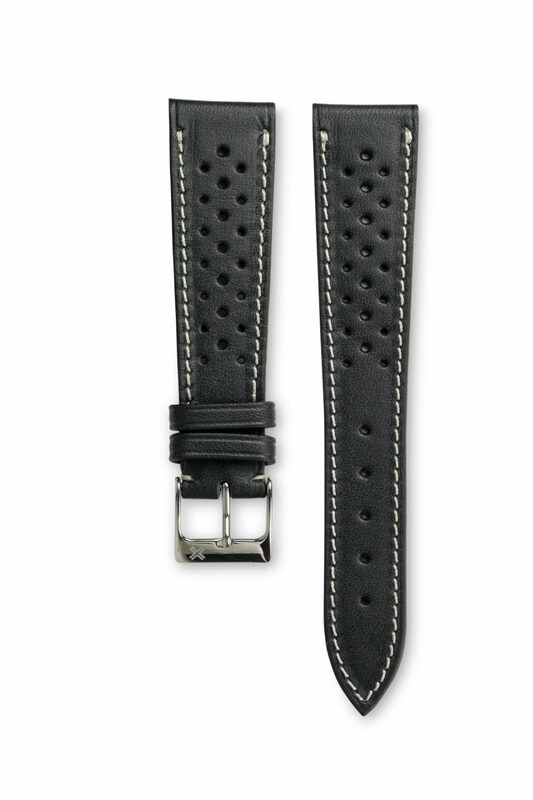 Intense deep black watch strap with contrasting cream stitching. 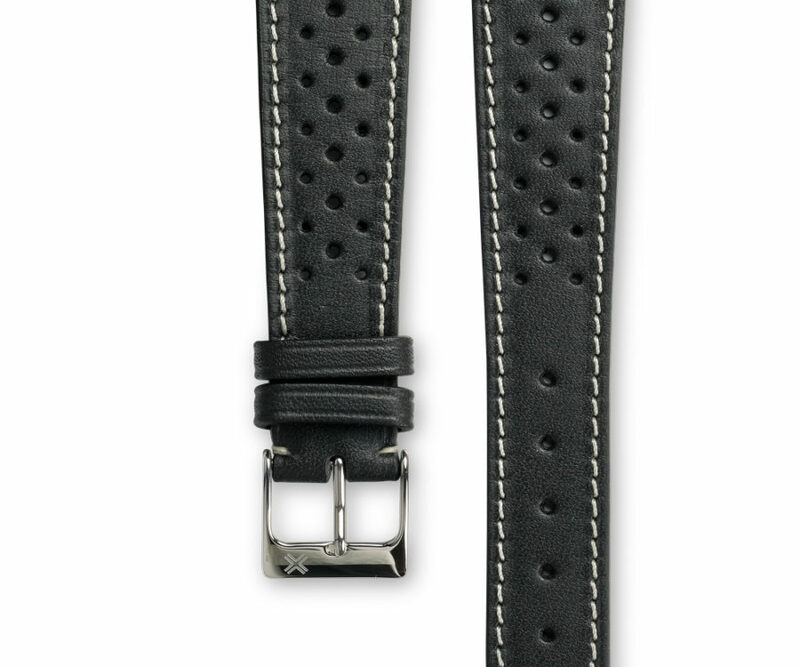 Also available in tone-on-tone stitching to give a little bit more sporty personality to your watch. 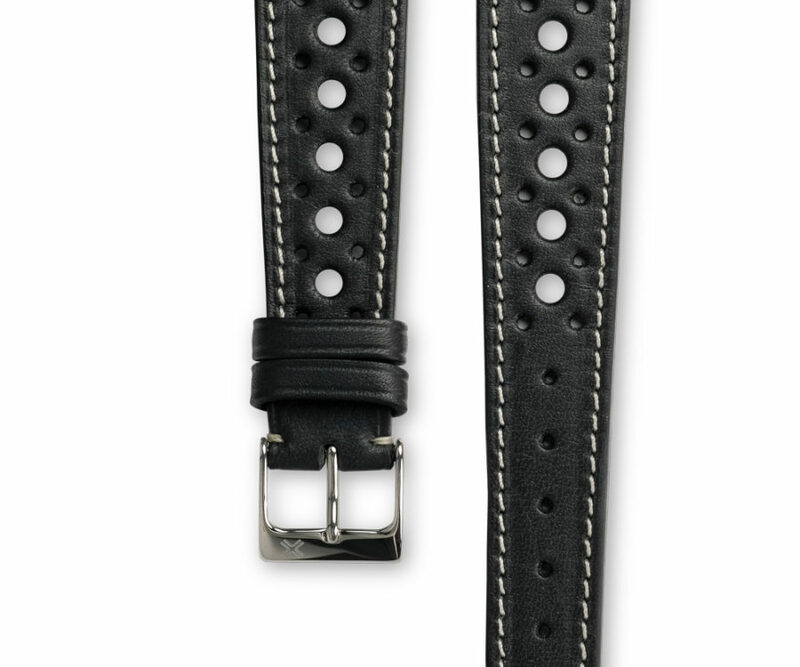 This Racing deep black color version is giving your watch a clear sporty style quite linked to historical racing car pilot heritage. 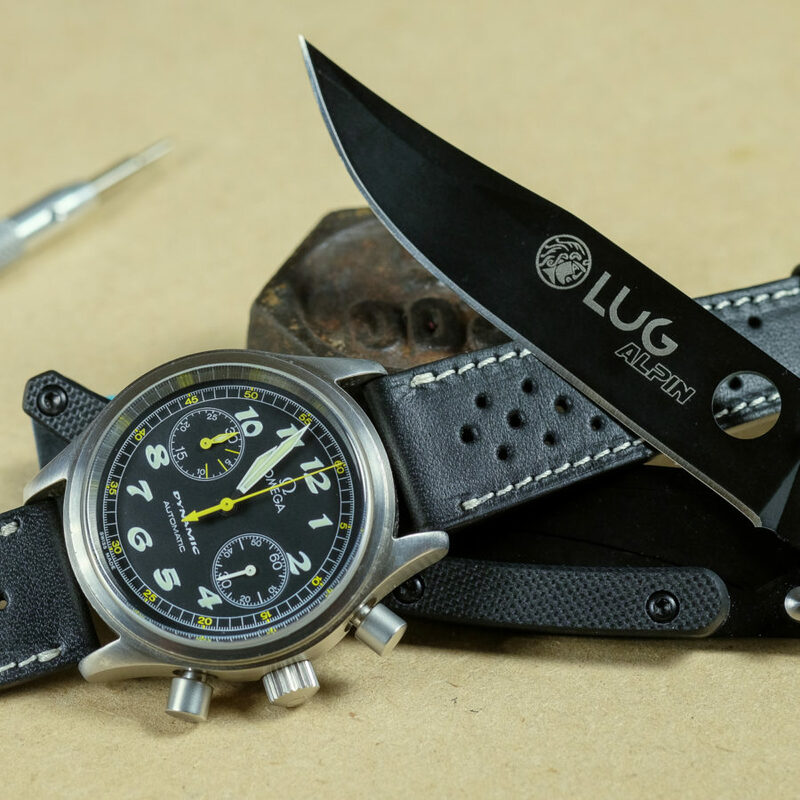 Thus, it can suit perfectly all types of chronographs or diver watches. 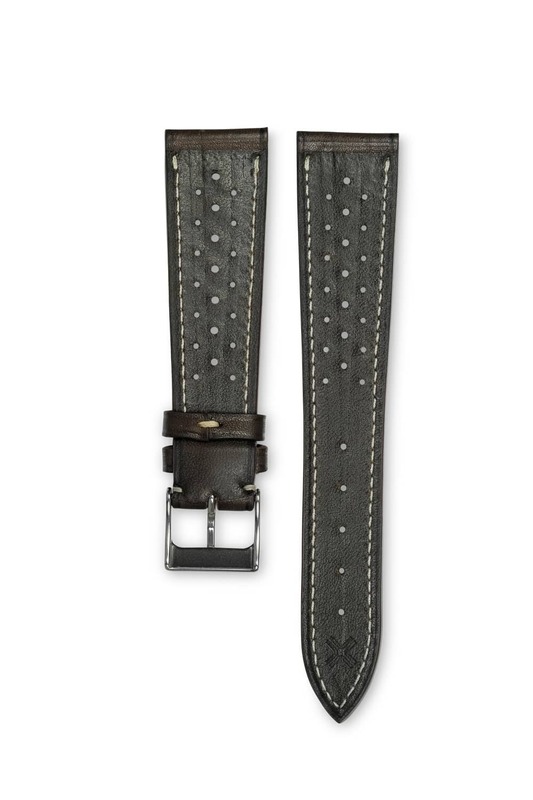 Discover the same model of watch strap with a tone-on-tone stitching. 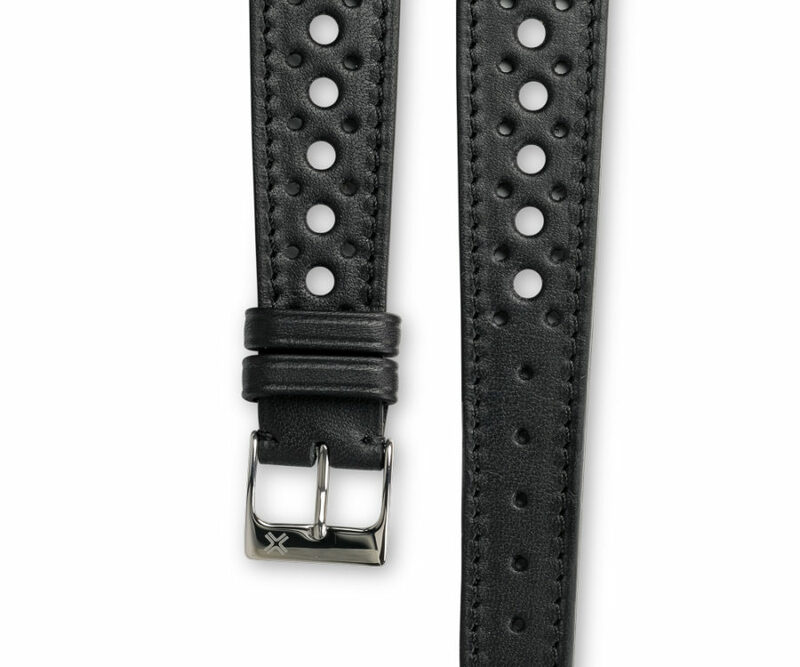 This will give to your watch a bit less sporty look !